SIMFEROPOL, February 11. /TASS/. Captain of Russia’s arrested Nord fishing vessel Vladimir Gorbenko, who has returned to Crimea from Ukraine, “doesn’t feel well,” spokesperson for the ship owner company Anna Sheveleva told TASS. “The captain is in Russia. His return home is his personal success. He doesn’t feel well but he says he will tell everybody about what happened when he is ready,” she said, adding that the situation had affected the captain both health-wise and emotionally. 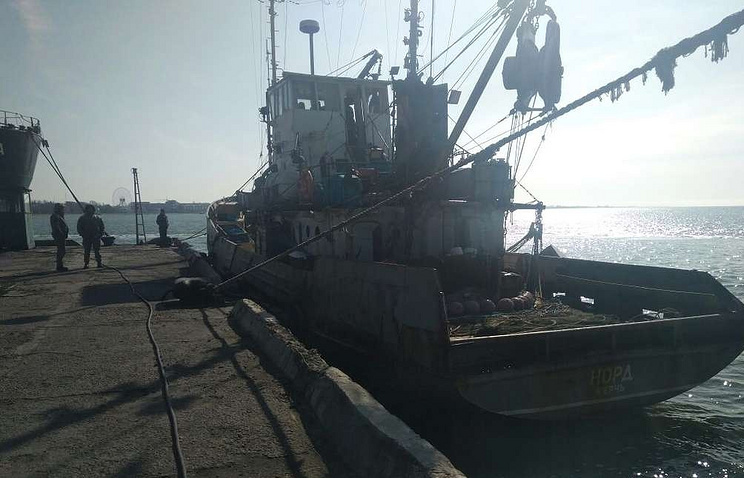 In March 2018, Ukraine’s State Border Service detained a fishing vessel flying the Russian flag in the Sea of Azov, whose crew includes ten Russian nationals. The vessel’s captain was charged under the Ukrainian Criminal Code’s article on “violating the entry and exit rules to Ukraine’s occupied territory” and illegal fishing. On April 10, the Kherson City Court released Gorbenko on bail, while other Russian sailors were fined. Hey Buddy!, I found this information for you: "Nord ship captain’s health in question after returning from Ukraine". Here is the website link: https://russophile.org/nord-ship-captains-health-in-question-after-returning-from-ukraine/. Thank you.